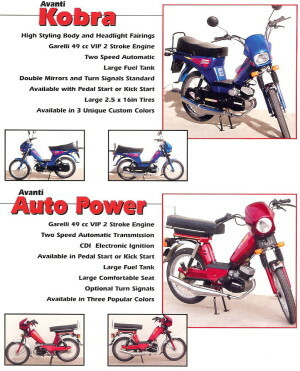 Mont Motors Limited is located in Rajasthan, India. 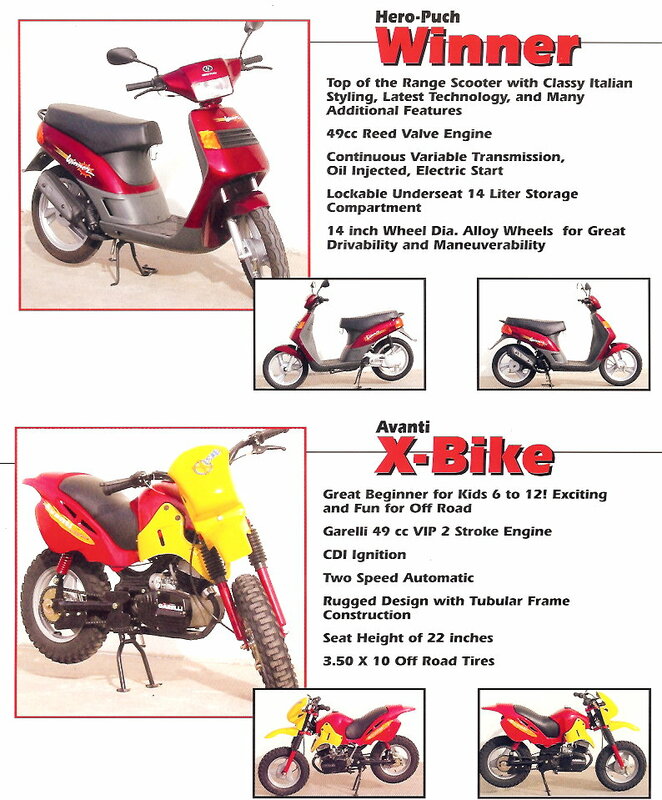 It was established by Pacco Group of Companies in 1997-98. Mont Motors was the first in India to manufacture mopeds in 1984 with technical collaboration from Agrati Garelli of Italy. 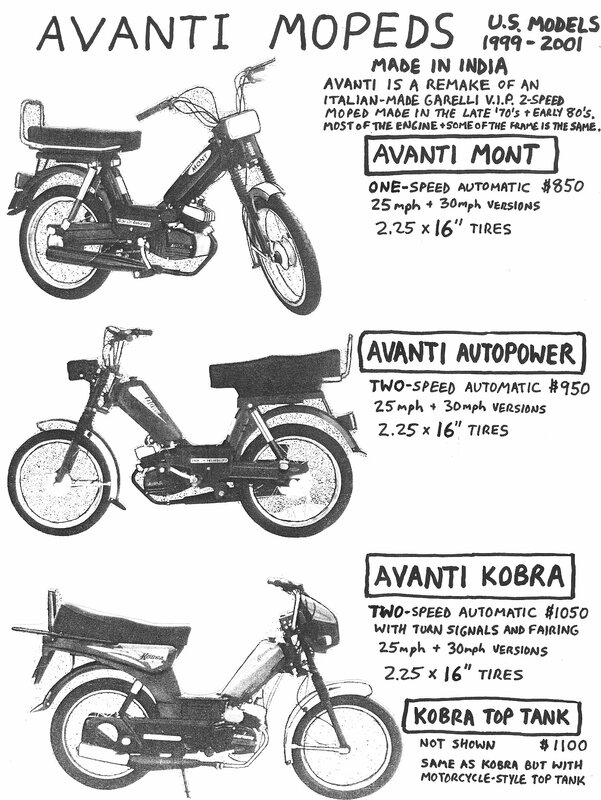 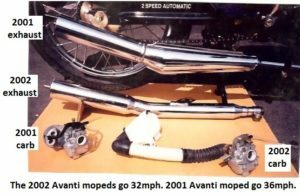 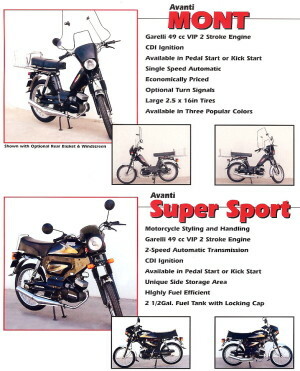 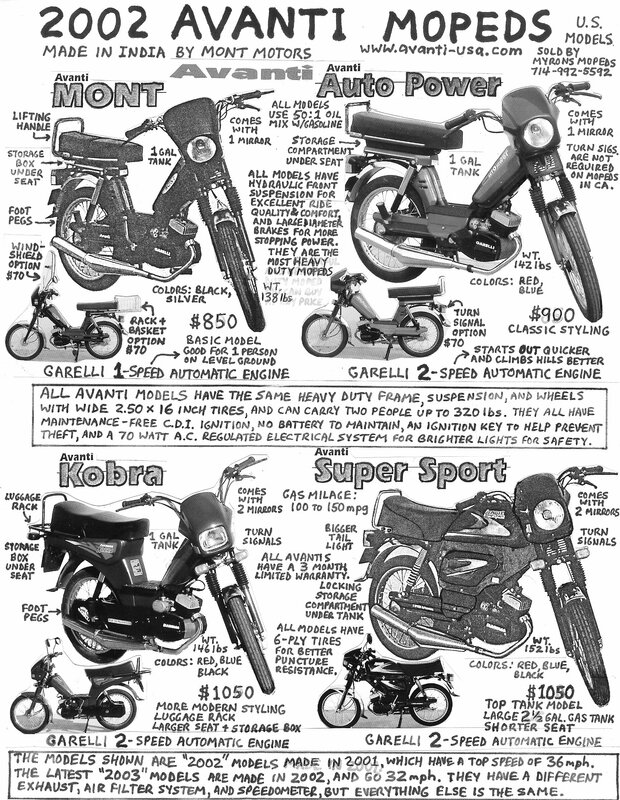 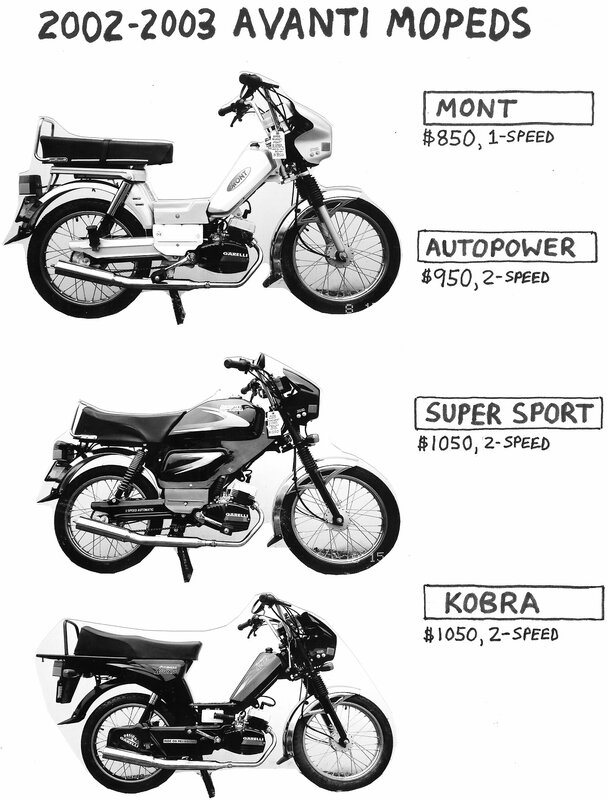 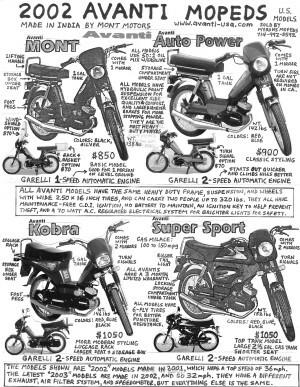 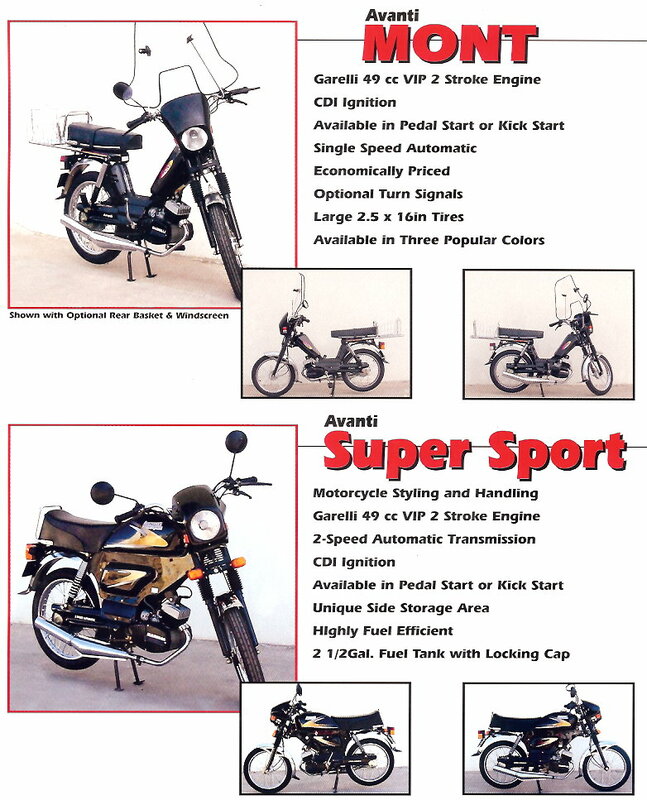 Myrons Mopeds does not have specific Avanti or Cosmo Stinger parts, other than things that are compatible with other mopeds. 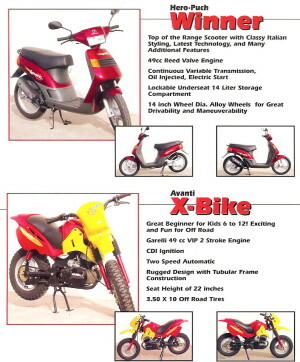 The only exception is a new red 2001 Autopower that was parted out. Those parts will be shown here eventually. 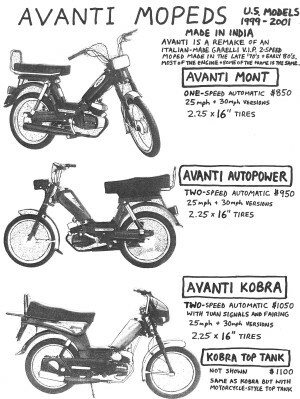 You are currently browsing the archives for the Avanti Parts category.